Number 14s journey west seems to have turned out to be an outing rather than a serious move. 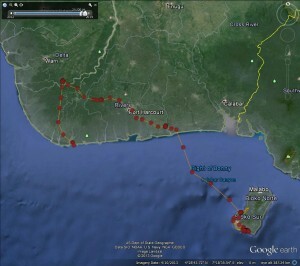 Having visited the last chimps in Nigeria at the Edumanon Forest Reserve (Green tree symbol left side on coastline) along with red list species such as Sclater’s guenon and Olive Colobus he has taken the one hundred and ten mile flight back to Bioko. He is now back with his friends on the edge of the wonderfully sounding Reserve Scientifique de la Caldera de Luba. Number 14 On the move again! As January came to an end our young osprey Number 14 seems to have once more developed wander lust. 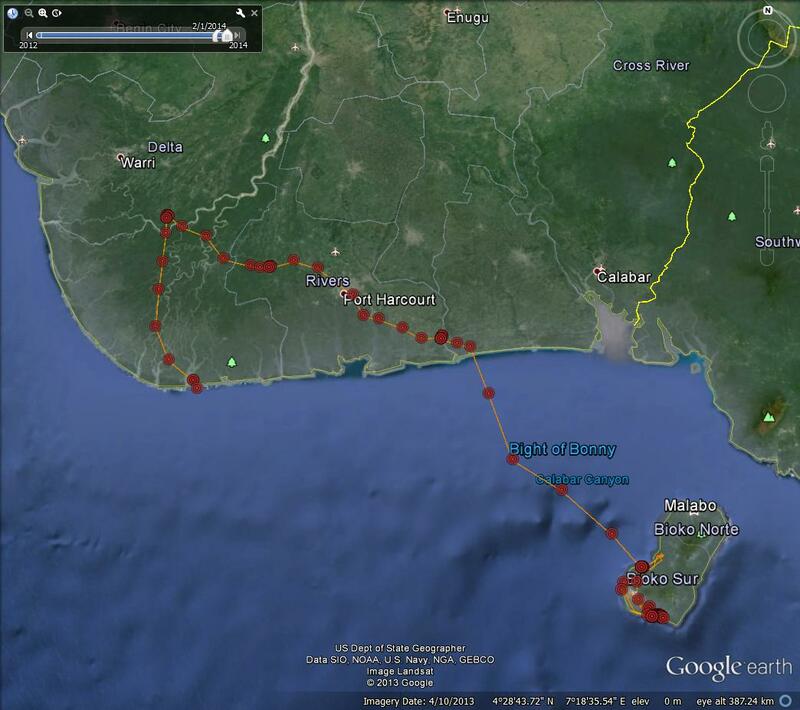 Having been on the island of Bioko since the 22nd November 2013 he has now gone towards the northwest, once again crossing the wonderfully named Bight of Bonny back to the African mainland. 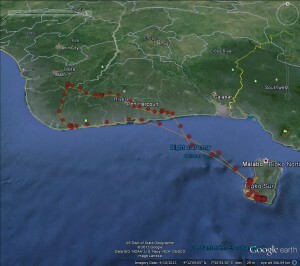 Yesterday he was taking a look, for the second time, at the Niger Delta, in theory a good place for ospreys but also an area where Nigeria is developing its oil Industry. 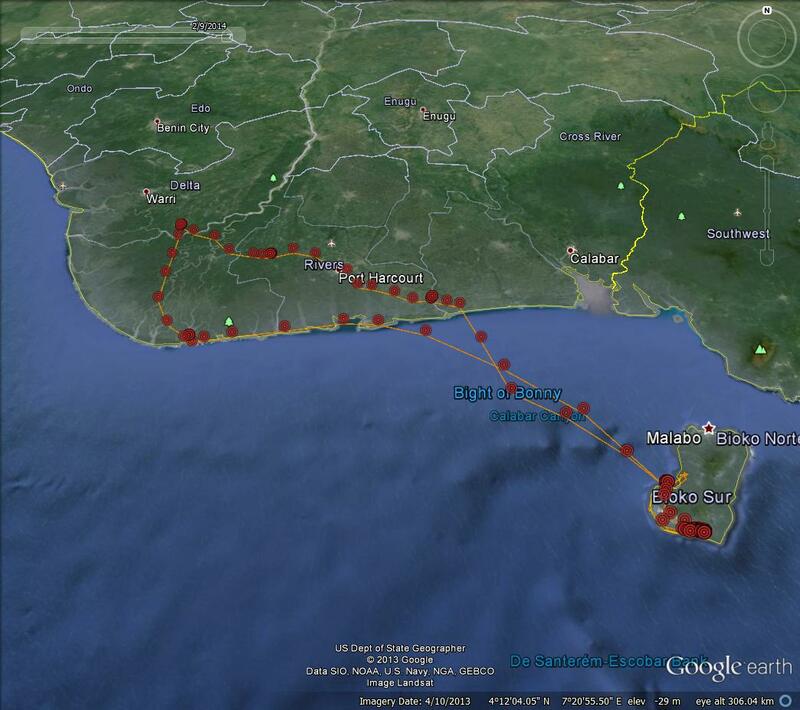 Just along the coast from near where our bird sits is the Edumanom Forest Reserve home to some of the last chimpanzees in Nigeria. If you think we have environmental challenges take a look at their problems.